His official announcement video is expected to stream online Tuesday morning. "I wanted to let the people of the state of Vermont know about this first," Sanders told VPR's Bob Kinzel. "And what I promise to do is, as I go around the country, is to take the values that all of us in Vermont are proud of  a belief in justice, in community, in grassroots politics, in town meetings  that's what I'm going to carry all over this country." Can the socialist be bribed into house #4? All of his leftist positions have been coopted by younger, more attractive* candidates. I suspect at this point he is in it for the money. Guess who needs yet another vacation home! Perfect, an eighty year old white commie to split the ticket with the dems. Somebody needs to tell the grouchy old white guy that white isn’t the face of the new Socialist Democrat Party. 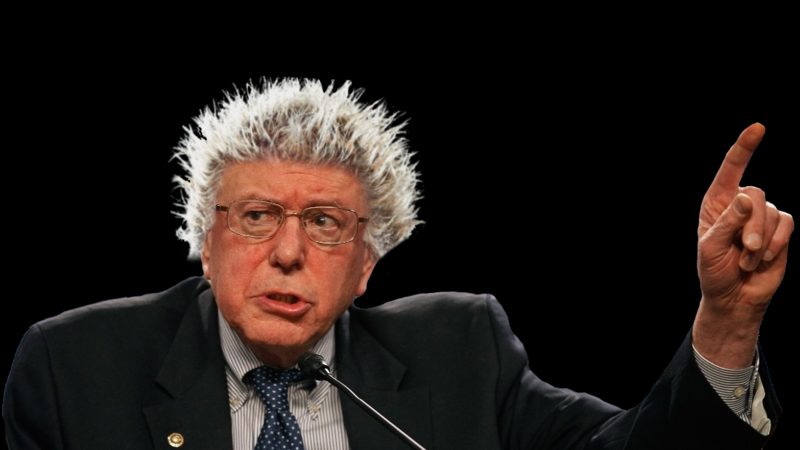 Bernie's time has come...and gone. He can't pass up on the payday, but the young and older communist wymen have entered the scene. How can an old white communist, compete against younger, communist wymen of color. I guess he has sugar daddies all lined up. He'll be ready with a new 'do! Holy Cr4p! Get Killie McCankles and Pelosi and they could tour as the “Zombie Apocalypse”. This dude is a principled white Jewish communist, has been for fifty years, he’s totally committed to ruination of the US, he would do it for free. Of course, as we have known since we first read Animal Farm, it’s hard work running the revolution, no reason you should live in a barn rolling in sh*t while you are sacrificing everything for the People. I wonder if Sanders will earn the coveted endorsement of his former campaign worker, AOC? Heads are going to explode all over the place! The liberal establishment has never forgiven Sanders for standing in the way of Hillary's coronation. The pols blather on endlessly about campaign finance reform, but you can bet they'll never remove that campaign loophole. Likely explains why the Dam field is flooded with candidates. The GOP field in 2016 for that matter. Most don't really care if they win or not, but it is a great way to feather their own nest and that of any campaign consultants they bring onboard. It is little more than a monstrous form of the bum begging for dollars in front of the local 7-11. 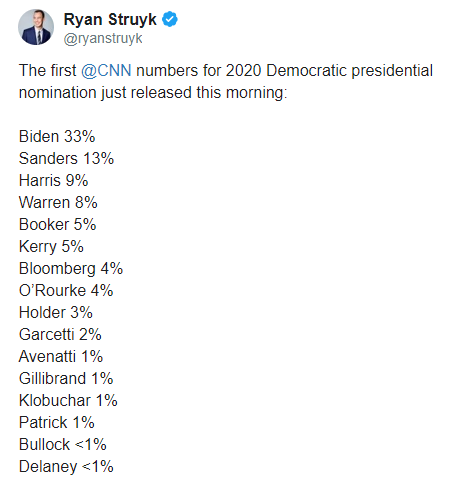 I think the Democratic nominee will be Biden or O'Rourke when it's all said and done. old white man, conservative? not a chance, socialist yes!